bring your sewing machine and/or other quilting implements. We will have fabric to cut into squares and be made into quilts for our chosen philanthropies. The Santa Monica Quilt Guild is a place to meet, socialize with and share with other quilters. We support a variety of Philanthropic and Community projects. Monthly Educational Lectures and Workshops by nationally known and local quilting teachers and authors provide updated and timely quilting information, and increase the members knowledge of classic quilt making and history as well as the newest technical innovations in the art of quilting. The Guild is a Non-Profit 501(c)(3) organization. The Guild presents a biennial Quilt Show and other fundraising events. Santa Monica Quilt Guild Quilters Retreat takes place annually. Quilt Challenges and Round Robin projects are offered to members. Pot Luck suppers twice a year give members the opportunity for more camaraderie and exchange with other quilters. Quilters College presents a variety of “mini classes” to improve and expand members quilting skills. The Annual New Member Tea is always a delight. The Guild Newsletters are published monthly to keep members informed of guild activities, and also present topics and information of general quilting interest. The Santa Monica Quilt Guild was founded in 1990 through the inspiration of Gerry McGuire, who at the time was the proprietor of McGuire’s Quilt & Needlework. The Guild started with approximately 10 quilters. The first meeting was held in October 1990 at the Santa Monica Public Library on Main Street. Meetings were later moved to the First United Methodist Church. Some of the Charter Members are still active in the Guild. The first philanthropy project was the donation of a Log Cabin quilt to The Dream Street Foundation. The first quilt show was in August, 1992. Fifty-seven members exhibited 134 quilts. Santa Monica Quilt Guild is a member of the Southern California Council of Quilt Guilds. 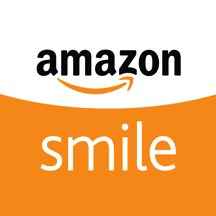 ​​PLEASE help the SANTA MONICA QUILT GUILD when you SHOP ONLINE by using iGive.com or Amazon Smile. Simply click either icon below, select the Santa Monica Quilt Guild as your preferred charity and begin shopping. A percentage of your purchase will be donated to the Guild. No extra cost to you. We thank you for your support!